Brazil has a global reputation as one of the most exotic places on earth. 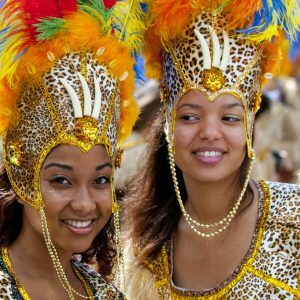 Not only is it home to the Amazon rainforest, but it also hosts the biggest party of the year during Carnaval season. But the South America nation also is known for the beauty of its people. As one of the most racially diverse countries, Brazil is home to people of every pigmentation and skin tone. Visitors to Brazil are often astounded by the wide variety of people they see in both the biggest cities and smallest villages. The people of Brazil are envied by the rest of the world for their beauty. Everybody wants to look like a Brazilian! Now anybody can look more Brazilian with just a single visit to their local professional hair salon. A Brazilian keratin hair straightening treatment by Maria Teixeira can give you the kind of straight, lush, luxurious hair that will make you the envy of your family and friends. Keratin hair straightening combines protein with the existing keratin in your hair to give you the kind of long, straight hair you might expect to see during a samba competition at the height of Carnaval on the streets of Rio de Janeiro. This kind of unique yet natural look complements your own natural beauty to make you the center of attention wherever you go. Best of all, with the property care and maintenance, your Brazilian keratin hair straightening treatment can give you the exotic beauty of a native Brazilian for weeks or even months. With just a single visit, you can get the kind of glamorous, lush straight hair that will ensure you are turning heads wherever you go for a long time to come. So what are you waiting for? Everybody wants the kind of natural beauty that Brazilians enjoy every day. Now you can get the long, straight hair you’ve always wanted with a Brazilian keratin hair straightening treatment by Maria Teixeira.